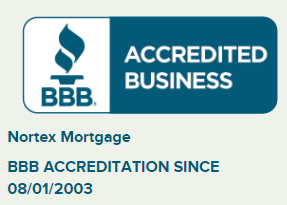 At Nortex Mortgage, our qualified mortgage professionals help clients secure financing for homes in all price ranges. Mortgages that exceed certain conforming loan limits are known as nonconforming or “jumbo” loans. In Collin and Denton Counties, the conforming loan limit for a single-family home is $453,100. If you require financing that exceeds that limit, you may require a jumbo loan. We serve clients in Plano, McKinney, and Frisco, Texas. Even for jumbo loans, we are confident we can help you find the most competitive rates available. Contact us to get started today. Jumbo loans are a type of conventional loan. Conventional loans are fully funded and insured through private lenders, banks, and insurers. They are different from nonconventional loans, which are backed to some degree by the federal government. Conventional loans typically offer more competitive interest rates and more flexible terms than nonconventional loans. Common nonconventional loans you may have heard of include FHA loans and VA loans. Jumbo loans are more difficult to qualify for than nonconventional and conventional conforming loans. To qualify, you should have good credit (a 700 score or higher, though each case is different) and a low debt-to-income ratio (40% or lower). You may need to provide a substantial amount of paperwork, including up to two years of tax returns, and proof of income and lines of credit. In most cases, jumbo loans require a down payment of at least 20-30%. The higher down payment you can provide, the better interest rate you can secure. Speaking of interest rates, jumbo loans traditionally have higher rates than conforming loans, because private lenders must keep their mortgages on their own books, rather than selling them to Fannie Mae and Freddie Mac. We work with several capable lenders who have the financial power to make these high-cost loans and still offer competitive rates. Whether you’re looking for an adjustable-rate mortgage (ARM), or a fixed-rate mortgage, we can help. We also offer short and long terms to suit your needs. When you are ready to look more closely at jumbo loans and how one could help you buy the home of your dreams, contact Nortex Mortgage. We have the experience you need when it comes to such an important investment. We help clients in Plano, McKinney, Frisco, and nearby Texas neighborhoods. Contact us today to schedule a consultation today.